With temperatures soaring and the weather improving, it’s fast approaching road trip season. There’s no better way to enjoy summer than getting out on the open road with your family or friends to see some sights. Why not make sure that your summer trip goes off without a hitch by making sure that your Toyota is in tip top shape? Our experts here at Westbury Toyota have put together an easy-to-follow list of things you can do to keep your car in peak road trip condition this summer. 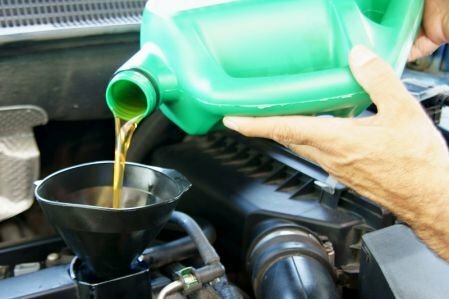 In hot weather, it’s vital that you keep your radiator fluid topped up. An insufficient amount of coolant leads to overheating, which is one of the most common causes of vehicle breakdowns in the summer. Before you head out, double check your coolant so that you won’t overheat when you’re out on the highways. Make sure there are no fluid leaks and that the levels are topped off before you take any kind of long trip. Tire pressure tends to fluctuate with temperature changes. Tires that have too much pressure (or not enough) put you at an increased risk for a flat, a blowout, or some other kind of accident. As the editorial staff over at Be Car Care Aware explains, you should check your Toyota’s owner manual for the recommended tire pressure specifications. With your tires at the right pressure, you’ll be increasing your car’s overall capability, which in turn means you’ll be saving big bucks on fuel. On those sweltering Long Island days, functioning air conditioning is a must have for any road trip. It’s recommended that your vehicle’s air conditioning be serviced every three years. If your air conditioning goes on the fritz, it’s probably due to a faulty hose or a low level of refrigerant in your favorite Toyota. The next time your car’s in for servicing, make sure that you have our expert maintenance team look the air conditioning over so you’re not stuck in an oven when you’re cruising to Montauk this summer. Car batteries will fail over time, and hot weather tends to tax batteries even more. It’s a good idea to test your battery before taking a long summer drive to make sure it’s still in good condition. As Jim Gold of Money Talks News points out, a lot of auto shops will offer free battery testing. Here at Westbury Toyota, we'd be more than happy to test your battery for you, and we can also check to make sure there’s no corrosion on the battery’s connections and posts. Summer weather brings nasty storms sometimes, and you want to make sure your wipers are up to the task if you get stuck driving in a thunderstorm. It’s pretty easy to tell when your wipers need to be replaced – they’ll do a poor job of wiping the water away, make an annoying noise, and the rubber blades will start to fall apart. Wipers are easy to replace on your own, but you can also get one of our mechanics to do it for you the next time your car’s in to get serviced. Don’t let car troubles ruin your big summer trip. Take the initiative and book your car in for a checkup before you leave so that everything’s working the way it should. You’ll have a stress-free drive and more time to enjoy all the awesome sights that Long Island has to offer.